MCCC to Host 15th Anniversary 9-11 Remembrance Ceremony Monday, Sept. 12, 11 a.m. Guy Armour, Chief of Police and Director of Public Safety for Plainsboro Township. 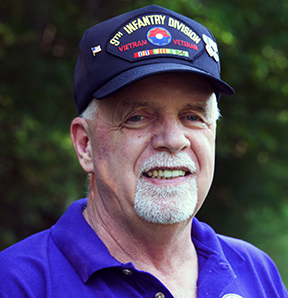 Norm Glover, a Vietnam War veteran, Vice Commander of the Military Order of the Purple Heart, and an alumnus of MCCC. WEST WINDSOR – Mercer County Community College (MCCC) and the County of Mercer invite the community to attend a 15th anniversary ceremony in remembrance of September 11, 2001. The event is set for Monday, Sept. 12, 11 a.m., at MCCC’s West Windsor Campus, 1200 Old Trenton Road, adjacent to the Student Center and the Quad. In the event of rain, the ceremony will be held in the Student Center. Participating dignitaries will lay a wreath on the college’s memorial bench. Special tribute will be paid to the 30 Mercer County residents who died in the attacks. In addition, MCCC will be honored with special presentation from the State of New Jersey Order of the Purple Heart as a military-friendly school – the first college in New Jersey to receive the honor. Guest speakers are Guy Armour, Chief of Police and Director of Public Safety for Plainsboro Township, and Norm Glover, a Vietnam War veteran, Vice Commander of the Military Order of the Purple Heart, and an alumnus of MCCC. Armour has served as a law enforcement officer with Plainsboro Township since 1994, and assumed his command leadership role in 2011. During his tenure, Armour has served as a patrol officer, patrol sergeant, detective, detective sergeant, municipal coordinator of the Joint Terrorism Task Force, and as special services lieutenant prior to assuming his duties as chief of police. 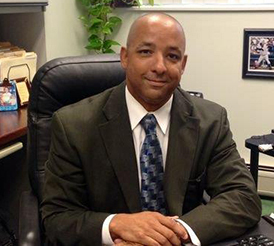 He also teaches as an adjunct professor of Criminal Justice at MCCC. Glover served three years in the U.S. Army infantry, including a one-year tour in Vietnam and a one-year tour at NATO Headquarters in Brussels, Belgium, as Protocol NCO and Dignitary Protection. He is the recipient of the Purple Heart, two Army Commendation Medals, Good Conduct Medal, Vietnamese Service Medal, N.J. Distinguished Service Medal, and N.J. Vietnamese Service Medal. He currently serves as Vice Commander of the Military Order of the Purple Heart, on the General Advisory Committee of Mercer County Technical School, and on the Veterans Advisory Commission for MCCC. In 2003, Glover returned to school at MCCC and earned his Associate degree in Business Management in 2012 at the age of 62, serving as the student speaker during commencement ceremonies. He is currently working toward an Associate degree in Culinary Arts at MCCC. Additional speakers include Mercer County Executive Brian M. Hughes, MCCC Board of Trustees Chair Mark Matzen, and MCCC President Jianping Wang. The invocation will be given by the Rev. Robert Wittik, MCCC chaplain. Musical selections will be performed by MCCC students. Directions and a campus map are available at www.mccc.edu.